I'm working with a team that I think needs some building upon. I'll say the moves for now. That's my team. I'm trying to work with the levels,but they're a pain. Hope I get some tips on the build! +removing dragon dance on both pokemon. Try electric or fire moves with Gyrados/Dragonite, since you dont have any. +removing Defog, even though it is a useful move, its not at all in battle. Try Roost instead. +Removing Rest. You can basically replace it with anything else, and it would be more helpful. I find rest in competitive battles useless (unless paired with sleep talk), because it takes up two turns. In those two turns, your opponent can easily crush your health anyways. As to what moves to replace these as, I'm not entirely sure, but I suggest adding some fire moves. See if Gyrados or Dragonite will learn some. Ground moves may also help with those pesky electric types going after your water based team. I think you need to give that team a major overhaul theres to many water types in there and you need much more variety in both the types of pokemon you have and the moves you have access to a strong electric type will rip this team apart but as i always say its best to experiment and find pokemon that you feel comfortable using but balancing a team is the difference between winning a battle or suffering a hulmiliating defeat give me a shout if ya want advice on team building or anyone else could help also. I put DD on Gyrados because when Gyrados is there,if you boost both Spd and Atk, you pretty much own most Pokemon when it hits with a physical move.Taunt is to stop Softboiled and other stat moves, and Waterfall+Ice Fang are physical moves. It smashes a Blissey apart in about three moves. It once landed an OHKO on a Blissey,but that Blissey was a Lv. 63. Removed Rock Smash and Defog, and currently trying to get the movesets changed. 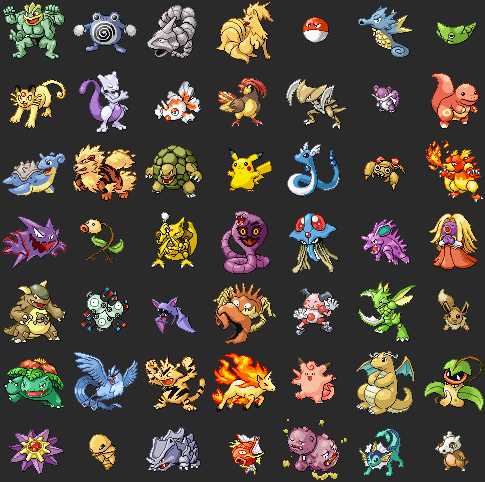 I would remove all but one of the water types on ya team get a fire type, psychic type maybe a electric type try and get as many types in the team as possable that way your gona be ready for anything that comes at ya. I really agree with XLR8 your main weakness is obviosly Electric, and Grass, therefore a fire, electric and psy type would really help. For the team you have listed, a fire type, I would go for either Infernape or Arcanine, depending on whether or not you want a full out attack, or something that has a lot of speed and can be used to help your other pokes out. For the Electric type, I would say either Electrive, Magnazone, or maybe Ampharos, because once again you can pick either attack, or defence, though Magnazone is probably your best bet. And the Psychihc I would go for Gardevoir or Gallade, they both hold potential. Gengar is in the Overused class, it is one of the best pokemon for competative battling, and it is rather tricky to kill if used in the right way, same goes for Bronzong, it's Overused and annoying to kill, very good pokemon to use, and last but not least, Metagross, used a heal of alot as a lead, also can be your tank, as it has insane amount of attack, defence and don't foget those EV's towards it's speed. And try not to use more than one of the same type move on the same pokemon, it is a waste of a move slot. I am currently trying to get those pokemon JUST SO I can fill up the Pokedex.I have an Arcanine, it's just annoying to raise cause some hav super-powerful moves for their class. I'm resorting to EXP share now. Subject: Re: Seafoam's Team- Yay.